As many of you are aware, Philanthropy Network with the support of William Penn Foundation and the John S. and James L. Knight Foundation has been at the forefront of shaping a philanthropic investment and engagement framework for Rebuild, the city’s joint public-private partnership to revitalize parks, recreation centers, playgrounds, and libraries across Philadelphia. We are committed to galvanizing the philanthropic community around this project, convening a small member-led leadership group to help shape the investment framework and to support broad philanthropic engagement in Rebuild. We engaged in this work because we believe this historic investment will be transformational, not just through fixing buildings and parks, but as a strategy to leverage the power and expertise of communities, to promote diversity and economic inclusion, and to strengthen neighborhoods across Philadelphia. Recreation centers, libraries, and parks are central to the fabric of Philadelphia’s communities. They connect the city’s residents to the natural world, to each other, and to opportunities to improve health and wellness. They advance literacy, guide learning, inspire curiosity, provide a safe place for children and youth to learn, create, and so much more. In communities that face high rates of poverty, drug crimes, and health risks, they may also be one of the few places of safety. Despite the conditions, communities have fought to preserve and protect these spaces, but they deserve more. This week Rebuild announced the first grant awards to nonprofit partners, granting a total of $13.8 million for major improvements to the Cecil B. Moore Recreation Center in North Philadelphia and the Heitzman Recreation Center in Harrowgate. Beech Interplex, Inc. will carry out the project to completely renovate and modernize the Cecil B. Moore Recreation Center and playground. Harrowgate-based nonprofit IMPACT Services will deliver an improvement project at the Heitzman Recreation Center. The city also announced plans to start improvements on the playground at Miles Mack, with community engagement efforts beginning later this month. As these and other projects roll out, Philadelphia-area funders are invited to join your peers, including William Penn Foundation, John S. and James L. Knight Foundation, The Barra Foundation, and Patricia Kind Family Foundation, to strengthen these important civic spaces. Funders of all sizes, interest areas, and priorities can have their support matched through a fund established at National Philanthropic Trust by the William Penn Foundation, $1 for every $2 raised in philanthropic support. 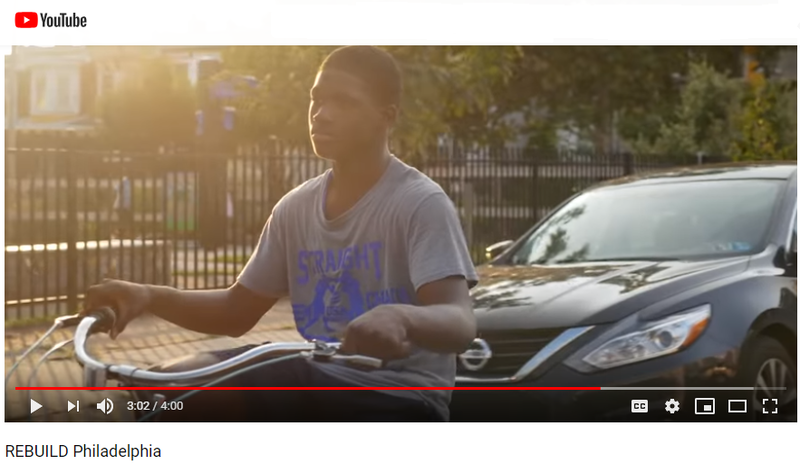 We invite you to view an inspirational video highlighting the impact of libraries, recreation centers, and parks on communities. We are delighted to share this with you. Major change is possible, but it’s going to take all of us. Rebuild is one opportunity to step up to the plate.